With Thanksgiving right around the corner, do you find yourself being more conscious about thankfulness? It's great to have a holiday to remind us of having gratitude but we now know that practicing gratitude daily has wonderful positive effects! For example, Dr Amit Sood's work finds that gratitude at its deepest level contributes to a quicker recovery from adversity, an important part of being resilient. So in the true spirit of Thanksgiving, the DAHLC provides opportunities for you to practice gratitude. With Gratitude in Motion, you'll move, reflect and appreciate those moments that fill each day. Join us as we combine a bike, an indoor rower, strength training and stretching into a night of movement. 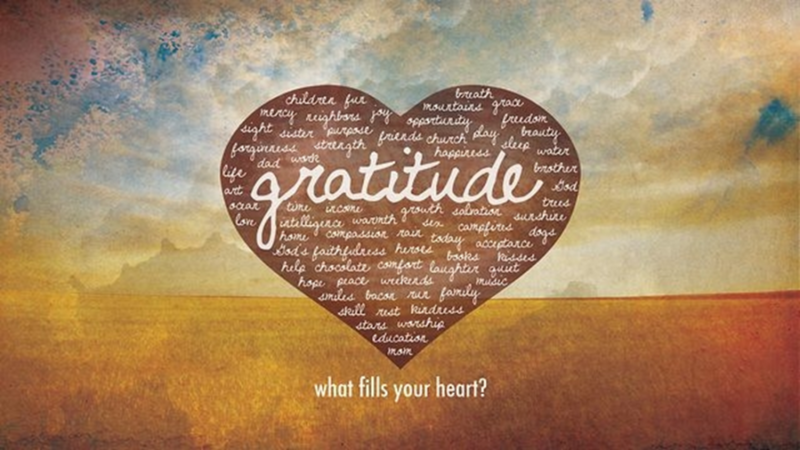 Thanksgiving is right around the corner; get a little gratitude back into your attitude! This event is on Friday, Nov 2 from 5:30-6:30pm. Registration opens Oct 19. Register at the front desk or by calling (507) 266-4688.